Buy unwanted vehicles for salvage. Sell spare parts from vehicles that have been recycled. If you are in the Hunter region or nearby we invite you to give us a call for either of these services. When purchasing cars and other vehicles we always offer a fair price paying up to $8,999. We also come to your location and remove the vehicle for free. Car doesn’t start, won’t run or is severly damaged? No matter. With out vehicle removal service we will come and take it off your hands. We will also pay you top dollar and often remove the same day. Consider giving ABCM Car Removal a call and get a quote for your old vehicle no matter the condition. You may have been in an accident or no longer have a use for your vehicle. It does not matter, call us now and get a quote. You may be pleasantly surprised with the amount you could get for your wrecked vehicle. Unwanted Cars in Your Yard Ready for the Wreckers? Is that your old vehicle sitting in the yard with all of the vegetation growing around it, out of the hood and through the windows? There are animals that have made their home in it and you feel bad getting rid of it for this reason. Well, they can always find someplace new and the plants can grow in the same spot and get more sun with that vehicle moved out of the way. ABCM Car Removal will come and tow that vehicle for you and pay you for it. Yes! All old vehicles are worth some money as their parts may be salvageable or at least the metal can be recycled as scrap. With the money you receive you can plant a new garden or put the money toward a tool shed in that same spot. Now you can get actual use out of the space and allow the old car to find a new home. All thanks to your local Newcastle auto wrecker, ABCM Car Removal. Cost of Vehicle Repair Too High? Maybe you got into an accident and can’t afford the repairs. Maybe your scheduled service revealed some costly repairs that outweigh the value of the car itself. Either way you count it as a loss, put a cover over it and try to forget about it. Problem is the value of it is depreciating the longer you leave it. ABCM Car Removal will give you a fair quote for your damaged car. It does not matter how bad it is. Give ABCM the best description of the condition of the vehicle and we will give you a quote over the phone. We offer top prices to give you more money in your pocket. Don’t get down because you are reminded of the accident that you were in with your car and the trauma that came with it. Give the vehicle to the wreckers for cash. Even damaged vehicles have value. Get rid of your unsightly problem today! The process is so simple, you would be surprised that you did not take advantage of the service sooner. On our wrecking yard you will find cars, trucks, vans, SUVs, 4x4s, buses, Jeeps, and bikes. We are constantly looking for more vehicles and pay best rates to purchase unwanted vehicles. We even offer information about other wreckers and car removal companies. 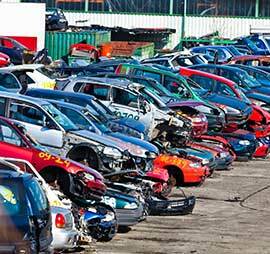 If you have a scrap car or vehicle you need to get rid or are looking for hard to find parts from a wrecker give ABCM Car Removal a call. What are you waiting for? Call NOW!